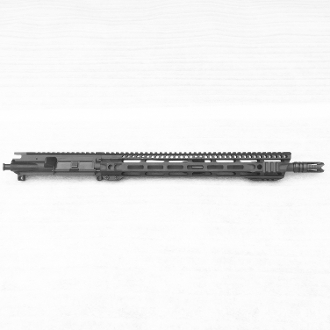 Pin this new upper to your Ar15 lower and make your rifle look amazing! Why buy a basic upper with a plastic handguard when you can buy this one that is already upgraded with a slim free float handguard? Other options such as BCG and Charging Handle can be edited/added using the checkboxes and drop-down menus on this page. Note: Pictured with specter flash hider. If you want that instead of the a2, select it from the menu. same price. Our uppers come with a limited lifetime warranty against defects in material/workmanship. We guarantee our products will function and we'll make sure that you're happy with your purchase!